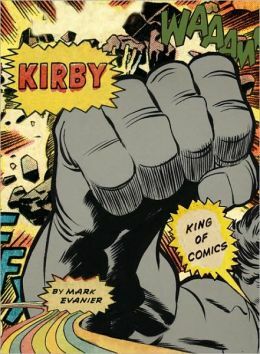 One need not be a comic book reader to appreciate Evanier’s Kirby: King of Comics, a fantastic collection of, and tribute to, Jack Kirby’s contributions to comic books and American culture (Kirby gave us characters such as the X-Men, the Fantastic Four, and Captain America among so many others). 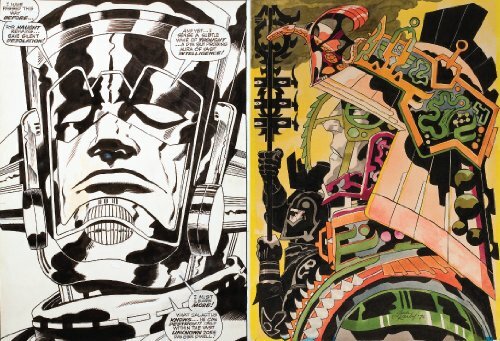 Kirby celebrates its contents with large-page spreads of Kirby’s art which so often seem as if they are going to burst forth from the frame. And while the art is impressive, it is Kirby’s imagination that truly stuns. Here we see men and women traveling into the infinite crossroads of the universe, concrete monsters lurking along brownstone walls, and new gods careening through space in complex machinery. William Hazlitt, the great English literary critic, states in his essay “On Gusto” that “Gusto in art is power or passion defining any object” and “In a word, gusto in painting is where the impression made on one sense excites by affinity those of another.” Hazlitt was describing Titian’s work, but I think the same description can be applied to Jack Kirby’s drawings and spreads, panels and paintings. Kirby is a wonderful and necessary contribution to any graphic novel or graphic arts collections, and will serve those patrons who identify as designers, daydreamers, and rogues.